In 1874 the Lincoln Cricket Club held a game between the first eleven and second eleven in which, while the seconds could use normal cricket bats, the first eleven played out their innings using broomsticks. The idea, presumably, was to “even the playing field” and make it a fairer contest. A contemporary newspaper report suggests that the match “caused considerable amusement among the spectators”…although presumably the Lincoln second eleven weren’t so amused, as they made only 40 runs in reply to the “Broomsticks’” 135! In his memoirs of sport in Grimsby, Bob Lincoln recalled one match which took place during the severe winter of 1878-9 – hardly cricket weather or cricket season, but they didn’t let that stop them! Has your club ever played a match under unusual circumstances? Get in touch and let us know! 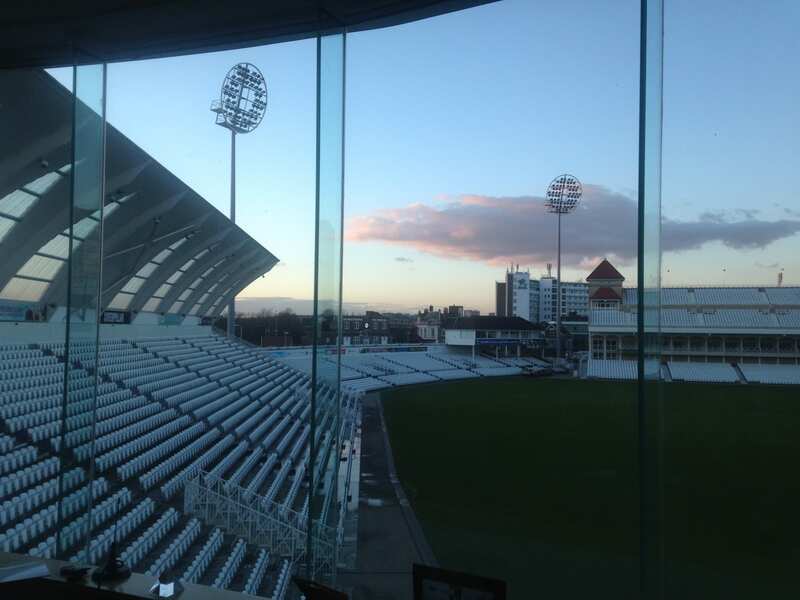 Last week I travelled down to Nottingham to attend the Sport in Museums Network conference, “The Impact of Sporting Heritage”. As part of the focus of the “Our Lincolnshire” project is the heritage of cricket, I was excited about getting the chance to hear how other people are going about sharing the history of sport in their own communities in an engaging and interesting way. The Ruddington Framework Knitters Museum. I had never heard of this before but it looks like a fantastic museum. 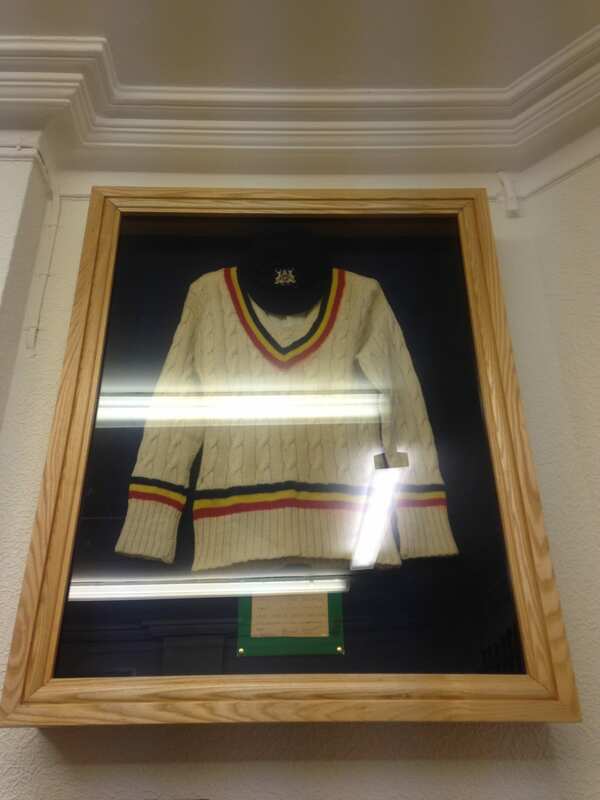 I was fascinated to learn that one of the reasons why Nottinghamshire produced so many great cricketers in the 19th century was due to the working flexibility provided by framework knitting. Visit their website to find out more! The Hockey Museum in Woking. Started in 2011, this still largely volunteer-run project aims to preserve, share and celebrate the heritage and history of hockey, both in the UK and internationally. They have undertaken huge amounts of work, including what sounds like it was a very successful exhibition at the 2015 EuroHockey Championships. The “Hosts and Champions” Commonwealth Games exhibition based on the archive at the University of Stirling. This is a touring exhibition celebrating Scotland’s participation in the Commonwealth Games. The Ipswich Town Football Archive Project. This was launched in 2012 and since that date, those involved have catalogued the Club’s collection of football memorabilia, captured oral histories, and organised exhibitions. It’s certainly a thriving project and Tim and Elizabeth Edwards are excited about possibilities for the future. So what did I learn from the day? People often don’t think of sport as heritage, but – as many of the conference speakers highlighted – it absolutely is! Your club’s history and traditions are very much connected to the heritage of your local area and it is important to preserve them. This is really why we have chosen to include cricket in the “Our Lincolnshire” project. There are plenty of unique aspects about sports heritage. One important aspect is that it is intergenerational. We are already seeing this in cricket in Lincolnshire, with plenty of clubs being made up of several generations of the same family – just think about those in your club whose fathers and grandfathers also played there! Another important aspect is that sport is very much about local identities and rivalries. Just think about the many ways in which your club is linked to the life of your village. I also spent much of the day thinking about the importance of sporting memories – capturing them and sharing them. Many of the above-mentioned projects involve collecting oral histories from those who have been involved in particular sports or clubs. A large part of the “Our Lincolnshire” project is interviewing those with a long history of involvement in Lincolnshire cricket – and we eventually hope to share those interviews on our website. Hearing about how others have done this really spurred me on with this aspect of our project! 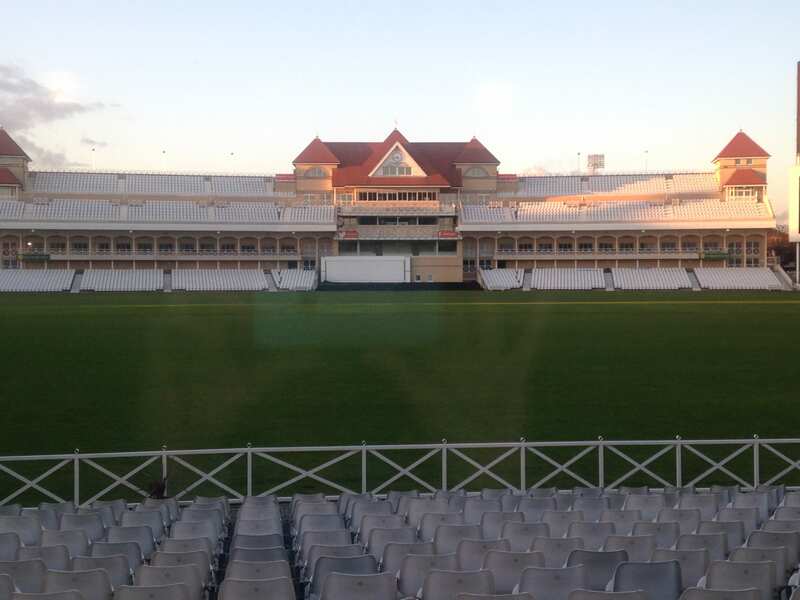 The day ended with a tour of Trent Bridge Cricket Ground, which looked spectacular in the early evening sunshine. My personal highlights included the library, which is absolutely stuffed to the rafters with old cricket books, papers, magazines and even (recently donated) the trunk which Bill Voce took on the Bodyline tour of 1923/33 – and the museum, which memorably contains Harold Larwood’s blazer, cap and boots from the Bodyline tour…and a kangaroo foot! Larwood’s cap and sweater from the Bodyline series. Overall a great day. The very fact that the Sport in Museums network now exists, with its aim being to better understand, protect, and provide access to the nations sporting heritage, is testament to the ways in which caring for our sporting heritage is so important – something which has transformed in the past 10 years or so. At “Our Lincolnshire” we hope to make just a small contribution to that, in our endeavours to document and share the heritage of cricket in the county. 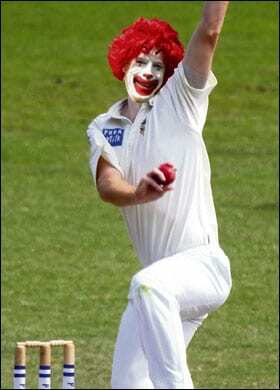 No doubt there are many occasions in village cricket when you might consider the opposition to be a bunch of clowns…but what happens when they actually are?! The report went on to describe a 4000-strong crowd on the Saturday afternoon, and – intriguingly – stated that many of these were ladies. As for the result, Lincoln made 202 in their first innings, bowled the Clowns out for 125 and had accumulated 77 in their second innings before time ran out. 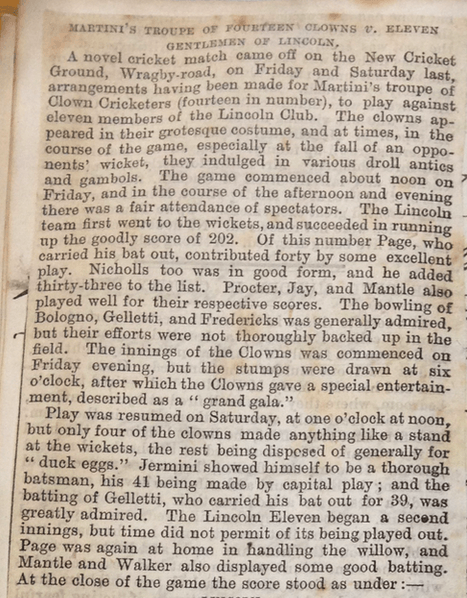 In fact, it seems that Clown Cricket may have been quite widespread in the late 19th century – a team called “The Clowns” toured England in the 1860s, 1870s and 1880s, and actually played at Lincoln in 1867 – and were apparently quite well-known (see more here). There is even a Pathe News reel available, which shows men dressed as clowns playing in c.1914. Go have a watch, and imagine what that match in Lincolnshire might have looked like, back in 1870 – I certainly wish I’d been there!